Imagine making a number of important purchasing decisions on your small business’s credit card with your current interest rate in mind, only to receive a notice from your credit card company shortly thereafter, informing you that your rate had been doubled for no reason. Seems like a money-wasting nightmare, but it’s actually the case for why small business owners must garner debt stability in the new business credit card environment. See more now! This article is by Odysseas Papadimitriou, CEO of Card Hub, a leading marketplace for comparing business credit cards and consumer credit cards. Imagine making a number of important purchasing decisions on your small business’s credit card with your current interest rate in mind, only to receive a notice from your credit card company shortly thereafter, informing you that your rate had been doubled for no reason. Seems like a money-wasting nightmare, but it’s actually the case for why small business owners must garner debt stability in the new business credit card environment. Somewhere around 80% of small businesses use credit cards for funding purposes, according to a National Small Business Association survey, and while debt stability has been historically unattainable, a credit card law put into effect in February 2010 (the CARD Act) made it possible for those using personal credit cards. 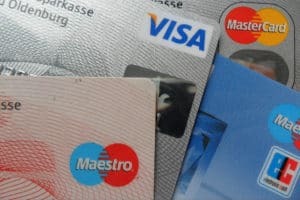 The law prohibits credit card companies from changing a cardholder’s interest rate for existing debt unless he is 60 or more days delinquent on payment. credit card use and send information about this use to their personal credit reports, which means it affects their personal credit scores. In other words, there’s no reason not to use a personal credit card for company spending. However, there are indeed reasons to continue using business credit cards: enhanced expense tracking capabilities, the ability to set custom credit limits for employee cards, centralized company rewards earning, and more. So where does that leave you? Using a rewards business credit card for everyday expenses that are paid for in full within a single billing period and a personal 0% credit card for expenses that result in a revolving monthly balance. you’re revolving a balance, new purchases begin accruing interest immediately. yourself be held back by the lobbying efforts of credit card companies, which have thus far resulted in Congress only protecting consumers and not small business owners.